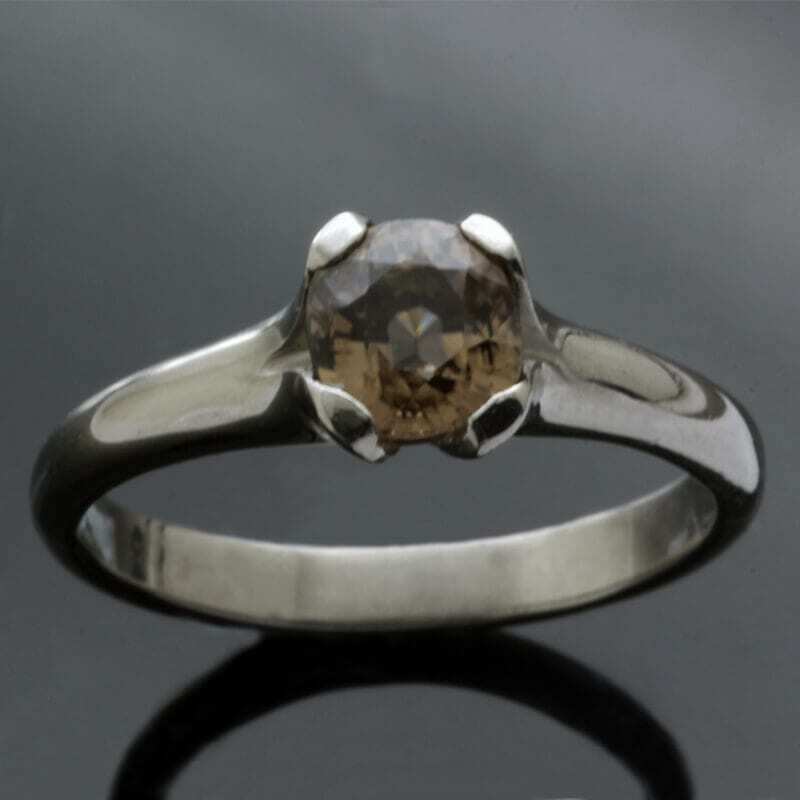 A beautiful and unique ring, designed and handmade by Julian Stephens to offer a unique and modern approach to engagement ring design. 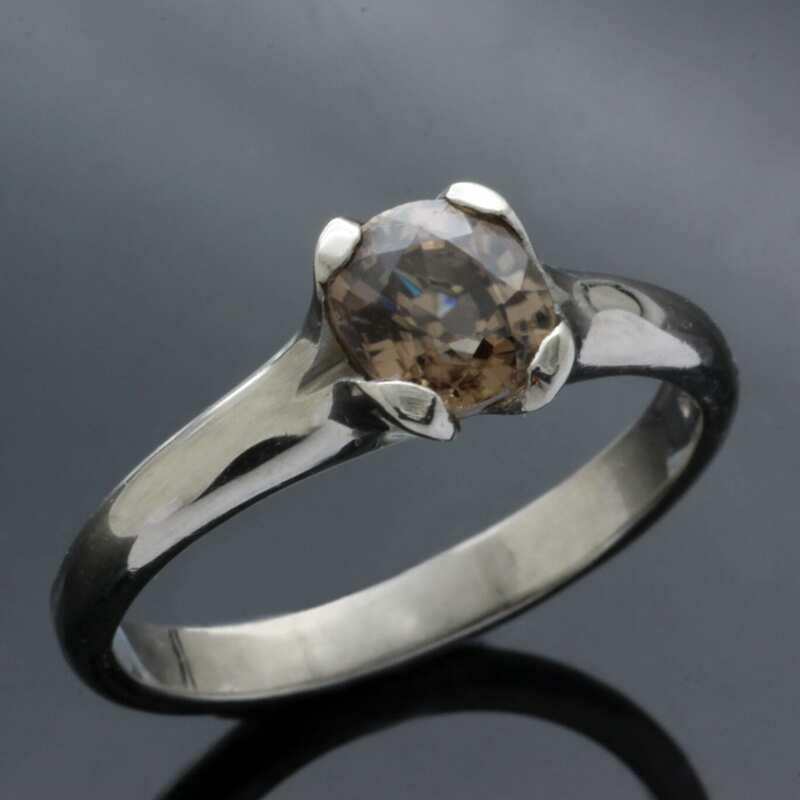 This stunning, sleek ‘Flower’ ring was inspired by the beauty found in natural forms, the solid Palladium ring shank and gemstone setting subtly resembles the petals of a flower in bloom. 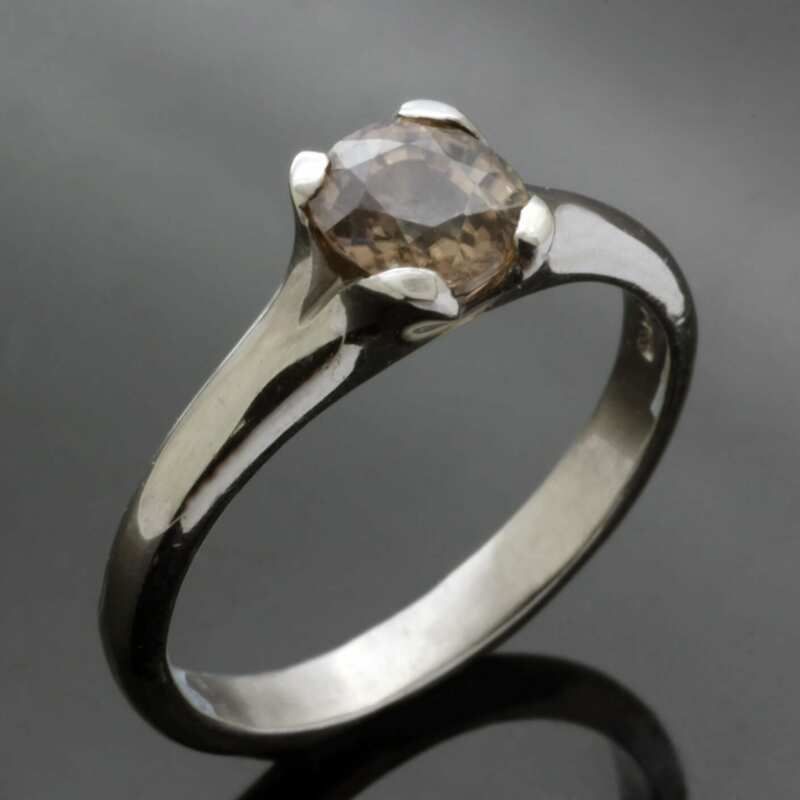 The solid Palladium setting perfectly compliments and enhances the delicious sparkles of the Round Brilliant cut coffee coloured natural Zircon gemstone centrepiece. This feminine, modern engagement ring has been carefully finished with a polished finish to give the Palladium a high shine, glossy lustre and this ring includes Julian Stephens exclusive Maker’s Mark alongside a Hallmark of authenticity.